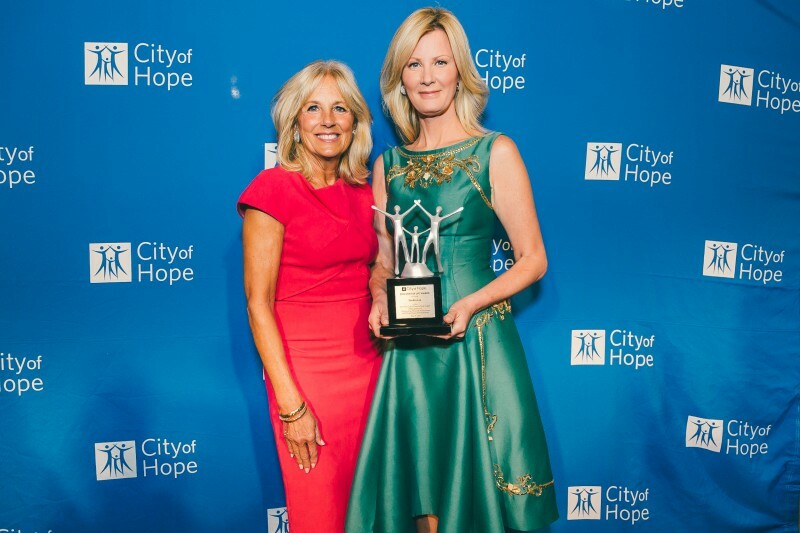 City of Hope, a cancer treatment and research center in Pasadena, California, honored Ramy Brook Sharp of Ramy Brook, nail polish titan Essie Weingarten, and TV chef and author Sandra Lee at its Spirit of Life luncheon at The Plaza Hotel in New York on Monday for their efforts in raising awareness about cancer and cancer research. The center has been instrumental in research that manipulates common viruses and diseases and uses them to kill cancer. In October, gene therapy was officially approved in the U.S. as an effective treatment method. 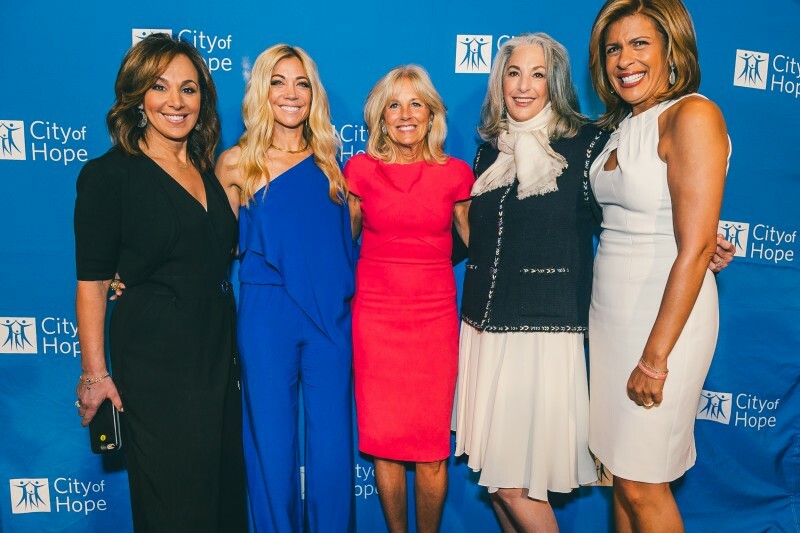 Other notables at the event included Rosanna Scotto of Good Day New York, who introduced Sharp; Dr. Jill Biden, wife of Vice President Joe Biden, who introduced Sandra Lee; and Hoda Kotb of NBC’s Today Show, who introduced Weingarten. 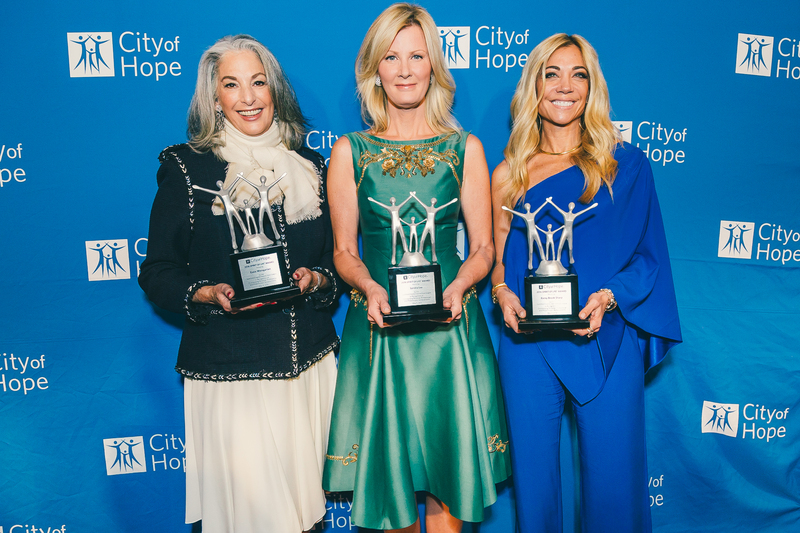 “I’m so excited to spread the word and provide awareness of the incredible work the City of Hope does, and the hope it provides so many cancer survivors and their families,” said Sharp. “I went to visit the City of Hope this past January and the minute you pull in the driveway you feel a sense of peace. ‘The miracle of science with soul’ is their motto. 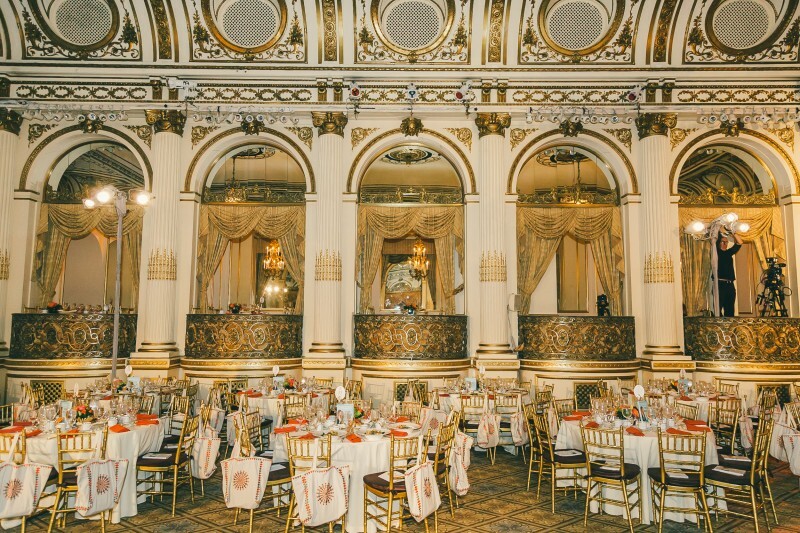 I first met Matt Loscalzo, the administrative director, whose calm presence made you have hope. In his message to new patients he says, ‘You are here to survive and we are going to help you do that.’ I’m dedicated to do everything I can, with passion, to be part of the solution. 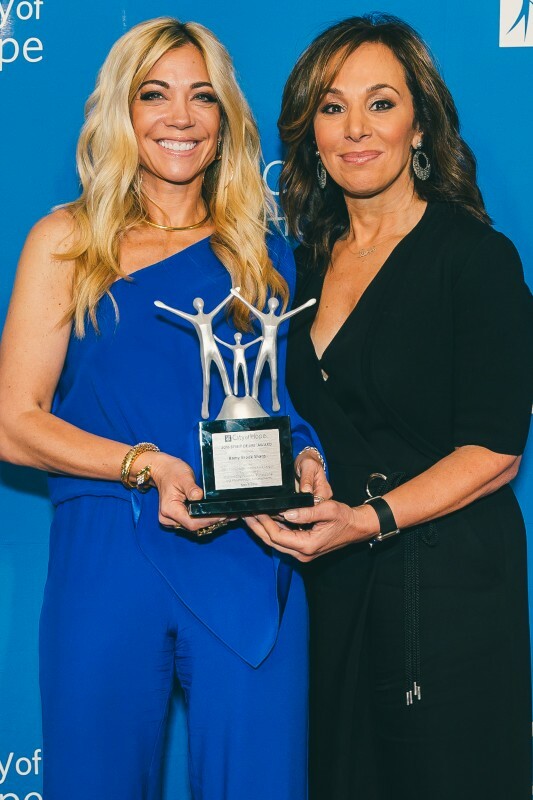 It will take money, some really smart doctors, and a place like City of Hope to make it happen, and it’s going to happen.” Sharp’s speech was followed by her first-ever runway show, which included brightly colored dresses and jumpsuits and easy breezy white summer dresses that should be wardrobe staples in the East End and beyond. 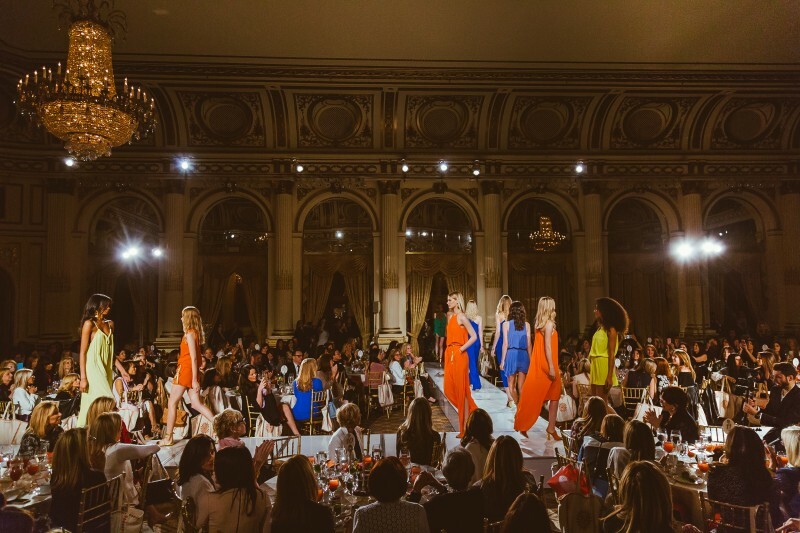 The event, which was attended by 450 women, raised more than $400K for City of Hope. 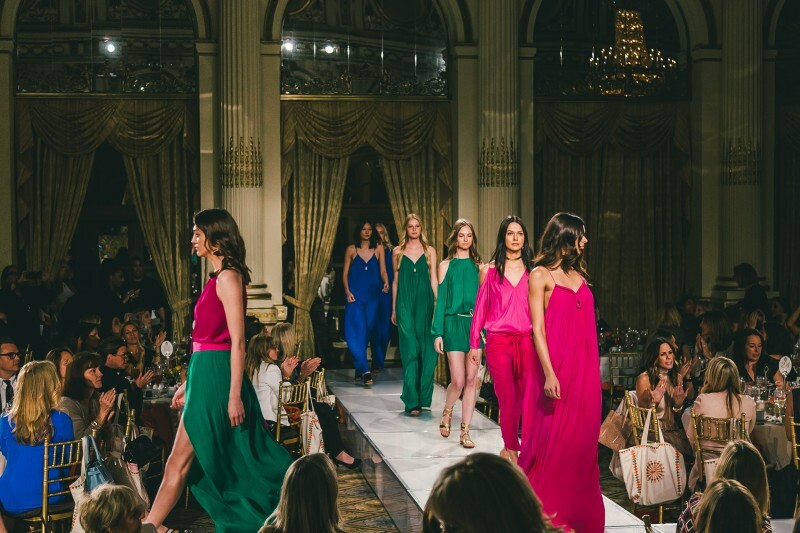 A portion of the proceeds from Ramy’s Summer 2016 collection that was shown at The Plaza will benefit City of Hope when purchased at Saks Fifth Avenue, the Ramy Brook flagship on 22 Prince Street, and RamyBrook.com.